These pictures were posted on Facebook. Marta reports that there was support for Social Protection during the Session on Unemployment, Decent Work and Migration. Franciscan International sponsored a Side Event:Agroecological farming can feed the world. Leonardo Boff was one of the presenters. Good Shepherd was co-sponsored this side event. The UN General Assembly, through its resolution 64/236 (December 2009), resolved to organize in 2012 the United Nations Conference on Sustainable Development, and accepted the offer of the Brazilian Government to host this Conference in Rio de Janeiro, Brazil. With the participation of the United Nations system, the governments/States, international financial institutions and major groups (representatives of indigenous peoples, farmers, workers, union, trade and industry, local authorities, scientific and technological communities, children and youth, women and NGOs) related to sustainable development. themes and agreements of the Summit through meetings of a Preparatory Committee. The Preparatory Committee is composed of ten members, representing countries from all regions of the United Nations. Mr. Sha Zukang has been appointed as the Secretary General of the Conference (SGC). The Preparatory Committee has already held two preparatory meetings in New York, NY in 2011. The document consists of five chapters. The first chapter is the preamble where the heads of state and governments gathered in Rio de Janeiro reassert their determination to free humanity from hunger and want, and to struggle for equity, stability and economic growth; they ascertain their commitment to enhance the cooperation and to strengthen an institutional framework for sustainable development. In the second chapter, the heads of state and governments renew their political commitment, based on the international commitments assumed in the past. They recognize that while it is true that, in twenty years since Rio+10 Conference, there have been advances thanks to new technology, nowadays we are still facing multiple crises (energy, financial, economic, food price instability, food insecurity, climate change and loss of biodiversity), and the need to affront new challenges and intensified problems such as the fact that 1,4 billion people are living in abject poverty, undernourishment and epidemics; and despite the efforts made by some governments, sustainable development is still far-off. They recognize the importance of culture and of a holistic approach, highlighting the need for participation of the main groups in decision making and access to information. They commit themselves to better governance. Chapter three is about the ‘green economy’ issue, as the means to achieve sustainable development and poverty eradication; they emphasize the need for taking adequate decisions considering economic growth, social justice and environment; they urge to start creating in the countries a green economic structure, and to create an international system of experiences and knowledge; and urge every state/government to formulate and action framework to develop their own green economy strategies; and to support developing countries, keeping a scheduled roadmap for a follow-up. Chapter four deals with the strengthening and integration of sustainable development as a key element of the general frame of the United Nations; for it, they promote ECOSOC’s role in integrating sustainable development in UN programs, and urge to change the Sustainable Development Commission into a Sustainable Development Council that may serve as authority to review issues related to sustainable development. They also agree to strengthen the capacity of United Nations Environment Program (UNEP) in order to establish an UN agency specialized in environmental issues based on the UNEP (United Nations Environment Program), for a regular review of the state of the planet and the Earth’s carrying capacity. They appeal to the science-based approach to decision making and the strengthening of the UN, and request the international financial institutions to revise their strategies in order to give support to developing countries for the implantation of sustainable development; they also urge to adopt new steps to improve the coordination and cooperation amidst the multilateral environmental agreements in other groups; and to establish an ombudsperson, or high commissioner, to promote sustainable development. And they reaffirm that global sustainable development strategies integrated in national development plans are key tools to implement the commitments of sustainable development at regional, national and local (sub-national) levels; and the need for a more coherent and integrated planning, as well as the decision-making at national level. a) Food security through a greater investment in food production, access to local and global agrifood markets, waste reduction throughout the supply chain with particular attention to women, small farmers, rural and indigenous youth. b) Water as a right. c) Energy. Providing access to a minimum basic level of modern services both for consumption and for production as outlined in the goal for 2030.
d) Cities. They commit themselves to building sustainable cities with local authorities’ support, efficient transportation and communication networks, greener and more efficient buildings in urban settlements, and basic service provisioning system; to improve air and water quality, waste reduction; to enhancing preparation and response to disaster, and adaptation to climate change increase. f) Oceans and seas, the Small Island States: To turn to mobilization for investment in the treatment of human waste and wastewater, and develop a global action plan to combat sea pollution and contamination; and consider the agreement to prevent, deter and eliminate illegal, unreported and unregulated fishing adopted by FAO in 2009, and urge the States to accede to the agreement. g) Natural disasters: They call for a solid response aimed to a greater national, regional and international coordination for environmental emergencies, and for the enhancement of forecasting and early warning systems, coordination between response to emergency, early recovery and development activities, including the adoption of a Hyogo Framework and its integration into development policies. The Hyogo Framework is the tool that the UN State members took on for disaster risk reduction implementation during the Second World Conference on Disaster Reduction held in Kobe, Hyogo, Japan in 2005.
h) Climate change: They welcome the outcomes of the COP17 Climate Summit in Durban, South Africa and are awaiting their urgent implementation. The most significant aspect of this summit was the adoption of a roadmap for a global treaty as required by the European Union, applicable to all countries. The summit achieves the signing of a second period of the Kyoto Protocol; but the United States did not sign the protocol; its expiration date is December 31, 2012. Besides, Canada, Japan and Russia announced they will not renew Kyoto and are stepping aside from the second period of commitments. Nevertheless, the starting date of a second Kyoto period of commitments was set for 2013 in Durban, and the completion date was left for 2017 or 2020, to be set in subsequent meetings. i) Forests and biodiversity: They support policy frameworks and market instruments, which, although slowly, tackle and revert deforestation and forest degradation and promote the sustainable use and management of forests, as well as their conservation and restoration. They welcomed the Nagoya (Japan) Protocol (Japan), which is an agreement supplementary to the Convention on Biological Diversity 1993. Its complete name is “Nagoya Protocol: Access to genetic resources and the fair and equitable sharing of benefits arising from their utilization”. It stems from the historic claim of developing countries to ensure the equitable sharing of the benefits arising from the exploitation of genetic resources anywhere in the world. And it posits an instrument to prevent that the knowledge on environmental nature that the many indigenous peoples have is indiscriminately exploited by industries such as pharmaceutical, biotechnological or cosmetics. j) Earth degradation and desertification. They call on the international community to implement the United Nations Convention to Combat Desertification (degradation of arid, semi-arid and dry sub-humid areas), which is a United Nations treaty, the international convention to combat desertification in countries experiencing serious drought or desertification, particularly in Africa (1994), and deals with this problem. k) Mountains, l) Chemicals products and waste, m) Sustainable consumption and production n) Education, o) Gender Equity, p) Science and technology, q) Capacity building, r) Trade. III. Main differences to achieve consensus on the Outcome Document of the Conference: Zero Draft- The Future We Want. 1. According to Meena Raman, Third World Network (TWN), the main differences between the developing countries and the developed ones refer to the “principles and characteristics that “should lead” to the goals of sustainable development, “human rights to safe and clean drinking water, and to sanitation”, “access to modern energy services” and the “right of all to accessing to safe and nutritious food, consistent with the universal fundamental right to not being hungry”. Many developed countries were opposed to mention food and water as human rights, despite agreements achieved in the past on these issues, and by consensus, on United Nations resolutions. 2. Differences around the concept of “green economy”. The European Union considered it a “fundamental tool” to achieve sustainable development, and expressed its concern for the fact that “in some paragraphs of the draft those words were not mentioned” or, instead, appeared “only references to sustainable development”, according to Meena Raman’s report. Responding to the European Union, G-77 said that “many developing countries did not even know what ‘green economy’ was; and that they had never used that type of tool before”. 3. Other areas of discrepancy included the issues of equity, patterns of Global North consumption and production, social justice (related to the extraction and removal of resources from developing countries), trade and technology transfer. 4. The governments are considering the advisability of creating new institutions or of strengthening the already existing ones within the framework of the United Nations Organization (UN) to be in accordance with the Institutional Framework for Sustainable Development. There are four major issues within this framework: 1) possible creation of a new body or forum for sustainable development; 2) strengthening the role of the UN Economic and Social Council (Ecosoc); 3) strengthening the existing Commission on Sustainable Development; and 4) future status of the United Nations Environment Program (UNEP), explained Martin Khor, Executive Director of South Centre, Geneva. Third Preparatory Committee Meeting for UN Conference on Sustainable Development, Rio de Janeiro, Brazil, 13-15 June 2012 . Four-Day Dialog on Sustainable Development, Rio de Janeiro, Brazil, 16-19 June 2012. Promoted by the Government of Brazil, the ten main issues of the Action Plan will be discussed due to their relevance for the issue of sustainable development: 1) Sustainable development to combat poverty; (2) Sustainable development as response to economic and financial crisis; (3) Unemployment, decent jobs and migration; (4) Sustainable development economy including patterns of production and consumption; (5) Forests; (6) Food and Food Security; (7) Sustainable energy for all; (8) Water; (9) Sustainable cities and innovation; (10) Oceans. And the United Nations Conference on Sustainable Development, Rio+20, Rio de Janeiro, Brazil, 20-22 June 2012. IV. 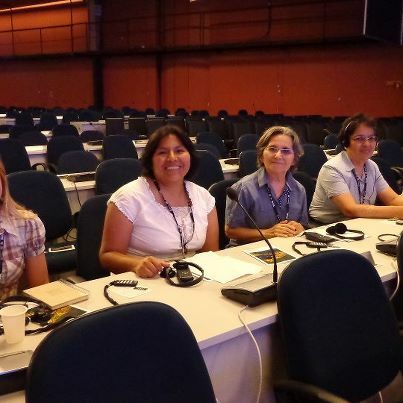 Two important civil society statements for Rio+20 Conference. 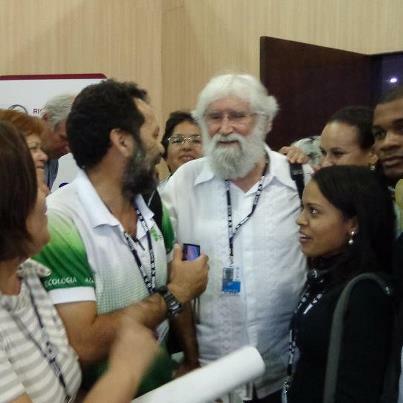 The main contributions of civil society for Rio+20 Conference go below. It is to be noted that civil society itself has different points of view. In this Declaration, the governments are encouraged to be present at the Rio+20 Conference, from which a politically agreed and binding outcome document should emerge engaging governments to achieve sustainable development, and to prepare and implement roadmaps towards a green economy that may take care of, and respond to, that which would be agreed in Rio+20. They request the replacement of inefficient, unsustainable and inequitable economic, monetary, financial and commercial existing models with policies that promote sustainable development goals. They request the establishment of the financial transaction tax proposed to help create social protection systems in the most vulnerable and least developed countries, and contribute to the sustainable adaptation to climate and reinforce worldwide civil societies and support sustainable and equitable economies as well. They demand the strengthening of an institutional framework for sustainable development, sustainable lifestyles and education plus training on sustainable development. Likewise, they request the governments to respect human rights under the principle of common responsibilities; and proposed objectives (regarding to youth, education, climatic sustainability, energy, biodiversity, water, seas, oceans, forests, agriculture, cities, etc.). Sister Winifred Doherty (representative of the Congregation at ECOSOC in New York, on issues of Social Development) and Hedwig Joehl (representative of the Congregation at the Human Rights Office, Geneva, Switzerland) attended this conference. 2. Civil Society Declaration to the 13th United Nations Conference on Trade and Development. The Conference on Trade and Development is crucial for the economic situation and development all over the world in 2012. At this Conference, civil society has expressed its concern about the fact that the developed countries have tried to silence the work of the UN Conference on Financial and Macroeconomic issues regarding trade and development, since Bretton Woods institutions have not stopped promoting the unbridled liberalization and deregulation of markets and finance; and these policies have produced the crisis. The UN Conference analyses have pointed out the dangers stemming from such policies. They describe economy and development in the present world context: challenges, threats and opportunities. The world is experiencing a series of interrelated crises: financial crisis, global deficit of decent jobs, global food crisis, the crisis of climate and ecosystems, political and legitimacy crisis. In view of this, it is not possible to continue to delay the fundamental reform of economic governance; only a paradigmatic change in development will save future generations of a social and environmental chaos of planetary dimensions. They assert that a new global social contract should be developed, based on universal human rights, and social and environmental justice as well. They propose to find other ways of organizing social and economic relations, and also a range from the feminist economy to the alternative concept of “good living”. They also propose: responsible and democratic developmental states; rethinking of macroeconomic policies; transformation of the global finance structures, global taxes and international tax cooperation, and review of the rules on trade and investment. Regarding the response to persistent and emerging challenges in related-to-trade development, they point out that climate crisis is having devastating effects on sustainable development. They claim also that many members of civil society who advocate for a deep review of unsustainable standards of production and consumption are skeptic about the “green economy” model being proposed, since there is no consensus on the definition of the term, and its use can imply the recognition of some concepts that deepen the gaps between economies, rationalize commercial protectionism, introduce new types of conditionality, promote the commoditization and financialization of the environment and give a boost to new “green” technologies which do not adjust to the precautionary principle established at the Earth Summit. It is necessary to have a deeper insight of the meaning; the term must be conceptualized in the framework of definitions of sustained, accepted and agreed-by-consensus development. In regard to transforming social protection, they urged the governments of countries lacking minimum standards of social protection to take the political decision to create a fiscal space for it, and gradually improve the provision of a transforming social protection which may contribute to everyone’s well-being. Sao Paulo, Brazil, June 2, 2012. SUBJECT: United Nations Conference on Sustainable Development to be held in Rio de Janeiro, Brazil, 13-22 June 2012. Date of preparation of Report: April 24, 2012. Report prepared by: Marta Iris López C.
I. What is sustainable, supportable or everlasting? Sustainability requires a worthy standard of living that does not compromise the needs of future generations. • How to help people lift themselves out of poverty and get good jobs while protecting the environment? • How to provide everybody access to clean energy and ensure that our energy needs do not contribute to climate change? • How to make sure that everyone gets water, food and the nutrition they need? • How to get that our cities offer a decent quality of life for all citizens? • How to create better transportation systems that may allow us to get where we want without causing too much congestion and pollution? • How to make sure that our oceans healthy and the sea life is not threatened by pollution and climate change? • How to ensure that our communities will withstand natural disasters? Solving these issues is the beginning in building the future we want. The aim of sustainable development is to define viable projects and to reconcile economic development, social development, and environmental protection. modify the attitude of carelessness or justification about it that prevailed for a long time. The idea of a limitless economic growth on behalf of which everything could be sacrificed was replaced by the awareness of those limits, and of the importance of creating long term conditions that make possible that a well-being for the present generation should not be at the price of a threat or degradation of future life conditions for the humanity. The first Earth Summit, UN Conference on the Human Environment, held in Stockholm, June 16, 1972, expresses for the first time worldwide the concerns about the environmental global issues. Wide publicity is given to the term sustainable development to the general public. The original definition of the Brundtland Report –focused on the preservation of the environment and the prudent consumption of natural non renewable resources- is amended to the idea of the “three pillars” that must be reconciled in a perspective of sustainable development: economic progress, social justice, and environmental preservation. This Summit gave momentum to the Earth Charter, which represents the values and principles related to sustainability. This document -a declaration of global ethics for a sustainable world- was developed based on a highly participatory global process, for a period of 10 years, which culminated in 2000. III. 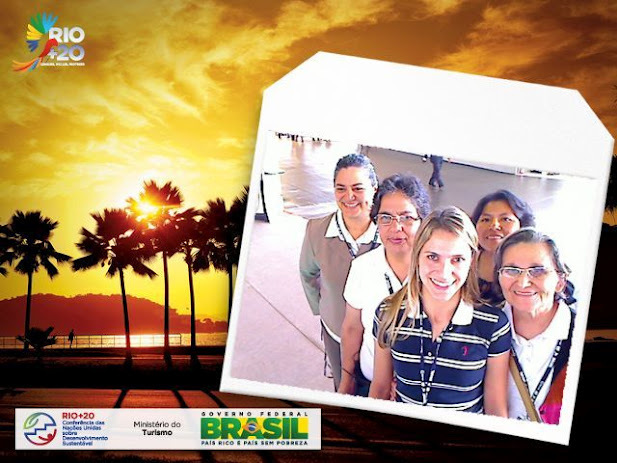 The third UN Conference on Sustainable Development: What is «Río+20»? 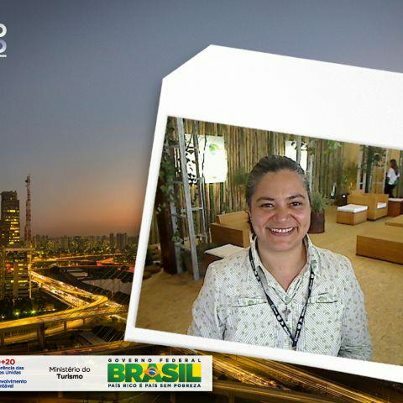 «Rio+20» is the short form to refer to the United Nations Conference on Sustainable Development, to take place in Rio de Janeiro (Brazil) on June 2012, twenty years after the historical Earth Summit, held in Rio in 1992. Also, Rio+20 is an opportunity to look at the future that we want in 20 years. At the Rio+20 Conference, world leaders, along with thousands of participants from the private sector, NGOs and other groups, will come together to shape how we can reduce poverty, advance social equity and ensure environmental protection on an ever more crowded planet. It is a historic opportunity to define pathways to a sustainable future: a future with more jobs, with cleaner energy, with greater safety and a decent standard of living for all. If we want to leave the future generations a world in which life is possible, the problems of widespread poverty and environmental destruction need to be tackled now. • At present the world has 7 billion inhabitants. By 2050, there will be 9 billion. • One out of every five people, i.e. 1.4 billion, currently lives on $1.25 a day or less. • A billion and a half people in the world do not have access to electricity. • Two and a half billion people have no sanitation. • Greenhouse gas emissions continue to increase, and more than a third of all known species could go extinct if climate change continues unchecked. • Deal with new and emerging challenges. IV. Mission of the Congregation of Our Lady of Charity of the Good Shepherd. Through the International Office of Justice and Peace, Sister Winifred Doherty (Representative of the Congregation to the UN), is the Chair of the NGO Committee for Social Development in New York. This NGO Committee is driving proposals and campaigns to eradicate poverty. Poverty Eradication is the binding theme of the Congregation with the Rio+20 Conference.